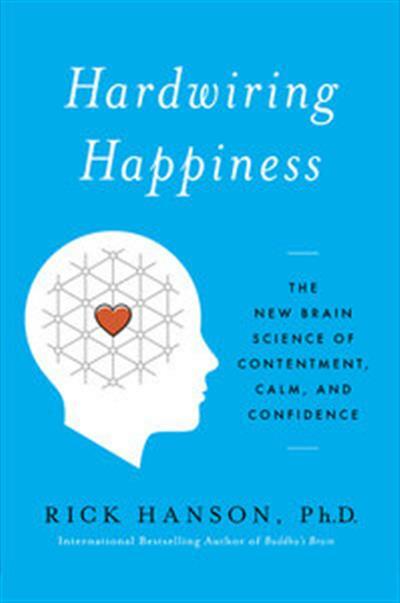 Rick Hanson, "Hardwiring Happiness: The New Brain Science of Contentment, Calm, and Confidence"
Hardwiring Happiness lays out a simple method that uses the hidden power of everyday experiences to build new neural structures full of happiness, love, confidence, and peace. Dr. Hanson's four steps build strengths into your brain- balancing its ancient negativity bias-making contentment and a powerful sense of resilience the new normal. In mere minutes each day, we can transform our brains into refuges and power centers of calm and happiness.